These S-MX boots have impressively so far stood up well to 10,000 miles of hard use. Here’s how I’ve found them. Quite often, I find myself in my riding kit for days at a time, so comfort is critical. 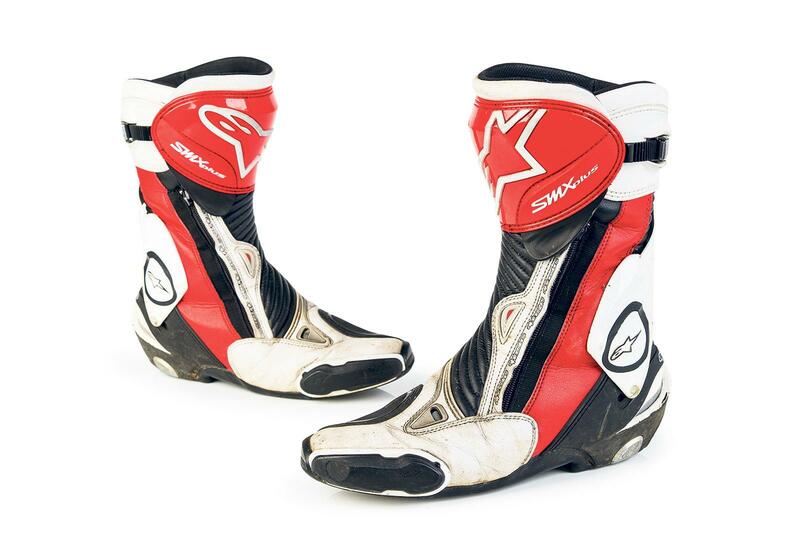 The Alpinestars S-MX Plus boots are no exception. I have done over 10,000 miles in these, 700-mile days, rain and shine and they have stood the test of time and kept my feet comfortable and safe. They’re easy to put on and take off with an inner drawstring, single zip and the Velcro and ratchet plastic strap means they stay secure and in place. The toe sliders are easily replaceable with their screw-fixed system. It’s hard to keep the white areas clean and sometimes it’s a bit fiddly to keep the drawstring tucked in when zipping the boot up. The boots command a high price, but the features, comfort and protection are worth the money. If you shop around though you’ll find many places selling them for quite a bit less than the RRP.